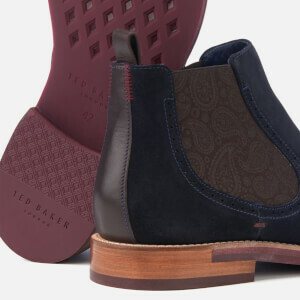 Suede 'Secaint' Chelsea boots from Ted Baker with a soft suede upper and brown leather trims. 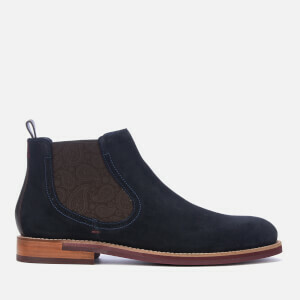 A rounded toe, a heel pull loop and elasticated side gores in a vintage paisley design form the construction. 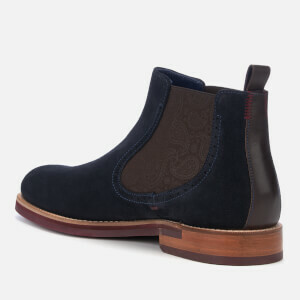 Brogue-inspired perforation and contrasting zigzag stitch detail also feature. 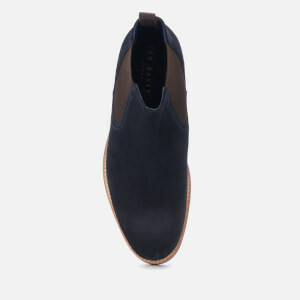 Set on a low stacked heel and a durable rubber sole with a diamond tread. Padded footbed for optimum comfort with every stride.